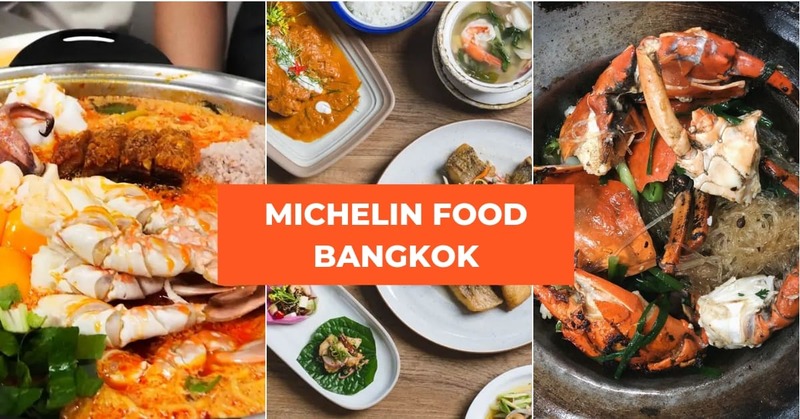 Michelin Thai Food In Bangkok From $2 & How You Can Skip The Queues! Home > Bangkok > Michelin Thai Food In Bangkok From $2 & How You Can Skip The Queues! Cheap Michelin eats in Bangkok! Bangkok is synonymous with drool-worthy food and more often than not, these come in the form of cheap and delicious street food! 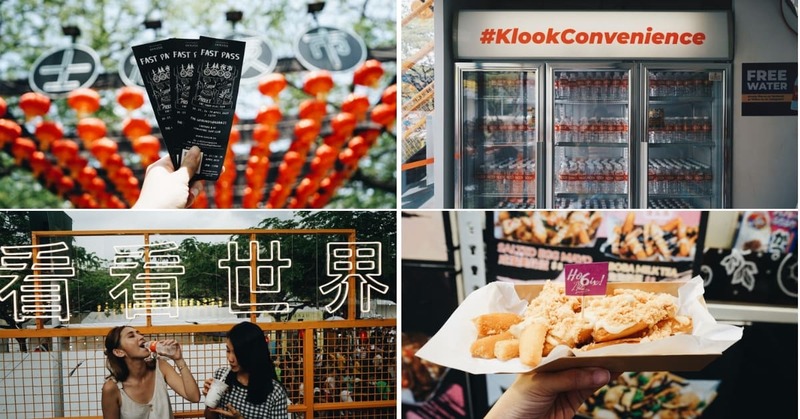 With Michelin recommended street food for as low as $2, here’s the holy grail on where you can fill your bellies with all things yummy. 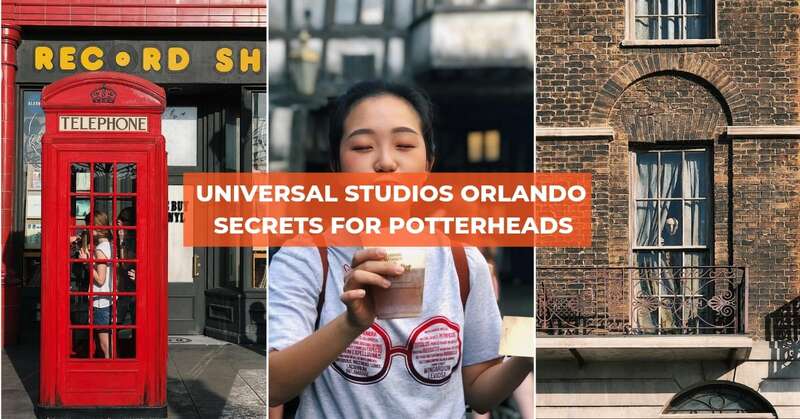 We’ve even included some secret hacks for you to skip the queues. 4G SIM Card for all those #foodporn photos – skip the queues and pick them up from the Klook counter when you land! 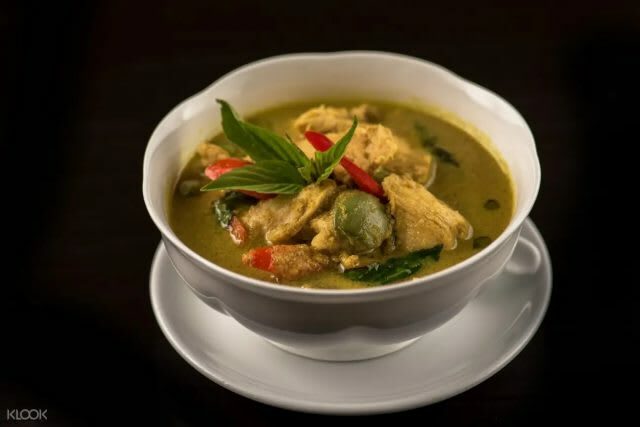 When you think of Thai food, you’ll almost immediately think of Tom Yum! 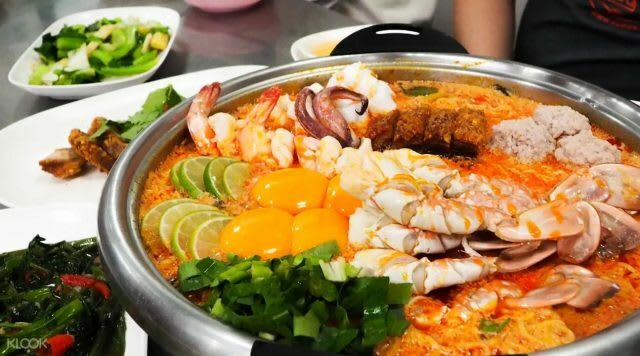 You’ll find one of the best Tom Yum noodle bowls in Bangkok at Jay Oh. It’s so good, it was featured in the 2019 Michelin Guide. 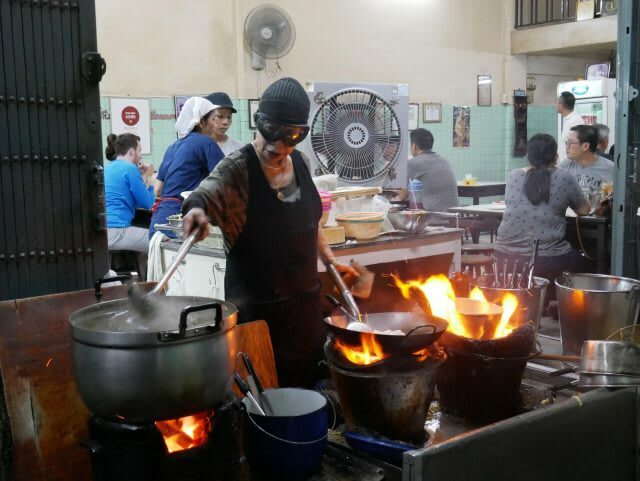 This humble diner is best known for its Mama Tom Yam Noodle Soup, with an iconic thick and savory broth. With such delicious food, of course you can expect insane snaking queues, where people have waited up to 3 hours for a taste of these delicious bowls. Pre-book your Mama noodles on Klook and you’ll get to SKIP THE QUEUES! 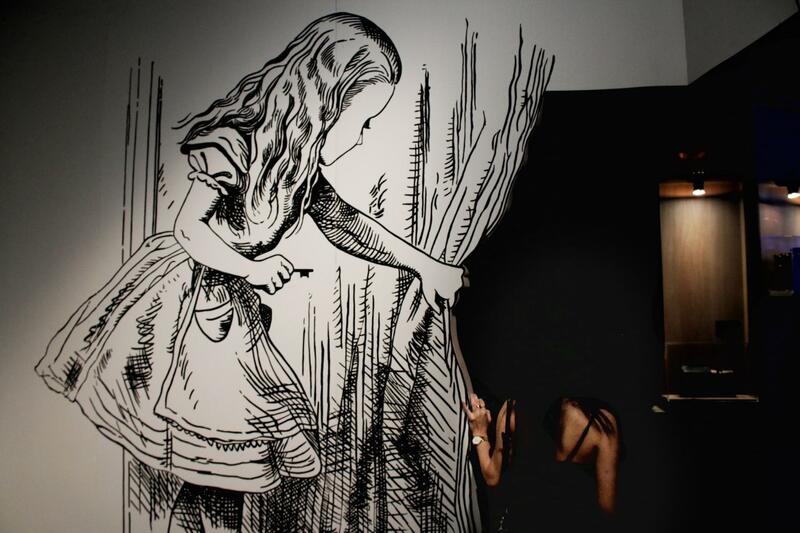 Simply select your desired time slot and date of visit get ready to feast. 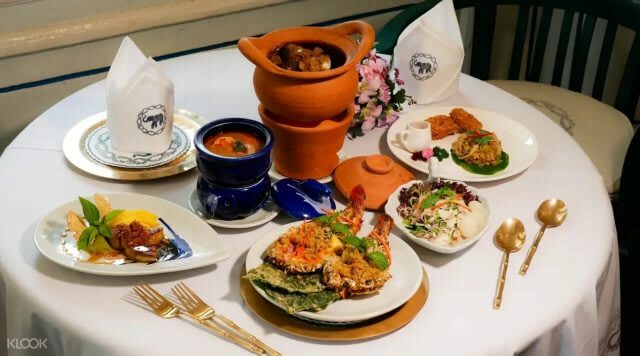 Located near the Saphan Pla Market, the seafood at Hia Wan Khao Tom Pla is one of the freshest and that’s why it was awarded the Bib Gourmand Award. 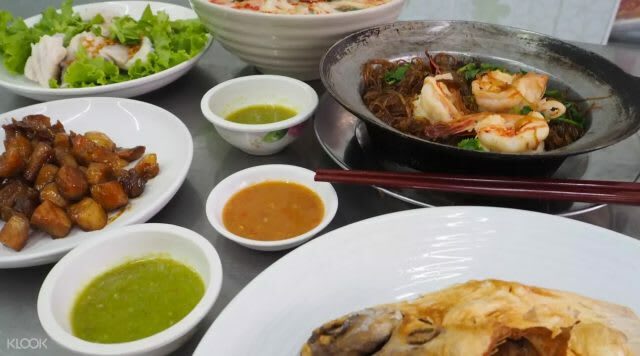 Some of the must try dishes include the Khao Tom Pla Gao (Rice Soup with Brown Marbled Grouper Fish), Gong Ob Woon Sen (Baked Rice Vermicelli Noodles with River Prawns), Tom Yum Pla Kapong (Tom Yum Soup with Barramundi)! Pre-book a tourist welcome voucher on Klook and you’ll get to enjoy a free Pork Bateng dish and a 10% discount on the fried Butterfish! You’ll also be able to select your reservation date and time, saving you the hassle of calling the restaurant on your own. How To Get There : Exit Surasak BTS station and take a 3-minute taxi ride to reach Hia Wan Khao Tom Pla. 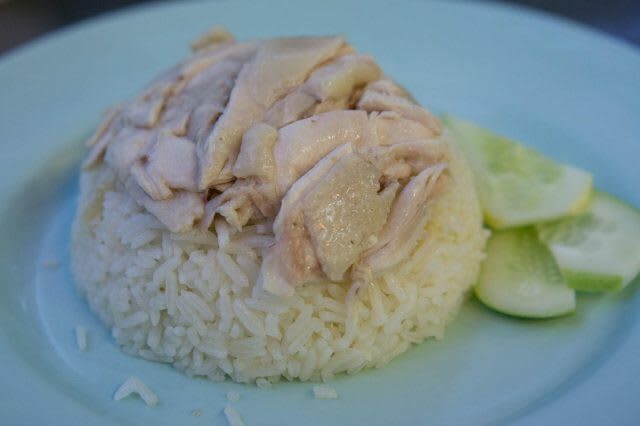 The chicken rice at Go Ang Pratunam is light, fluffy and perfectly seasoned and only costs THB 40 ($ 1.65). Conveniently located just a 5 minute walk away from the shopping giant Platinum Mall, this is a great place to refuel after all that walking. The perfectly poached chicken goes very well with the dipping sauce for an added kick of spice and you can wash yours down with their freshly boiled soups. 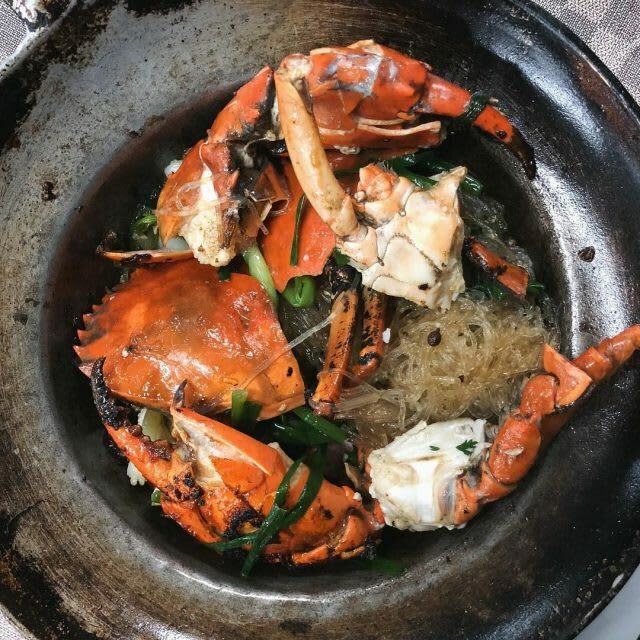 If you’re a fan of crab, you’ll definitely want to try one of the best Crab Vermicelli in Bangkok. Head over to Somsak Boo Op, a humble establishment with only 1 thing on their menu, vermicelli with seafood. The smoky flavor of the seafood and the perfectly seasoned noodles are reason enough to join in the queues! The Steamed Crab with glass noodles is priced at THB 310. The fried chicken at Soi Polo is everything you’re looking for in a perfectly fried chicken. 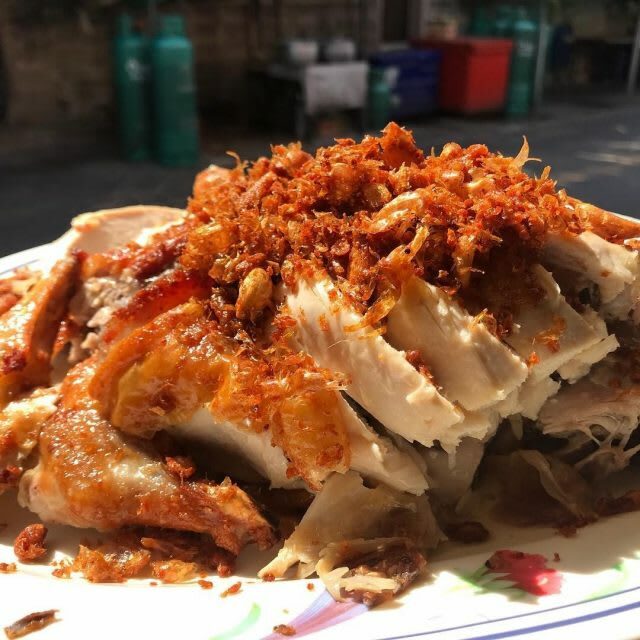 Well seasoned, crunchy, tender meat and topped with crispy golden brown garlic, this is why they’ve been Michelin recognized. Be sure to dip your chicken pieces into the spicy sauce for an added kick of flavour! Jok Khlong San serves up bowls of hearty congee that leave you wanting more. The Thai style congee is dense (even more so than the cantonese counterpart) and heartwarming and each bowl only costs THB 35-60! 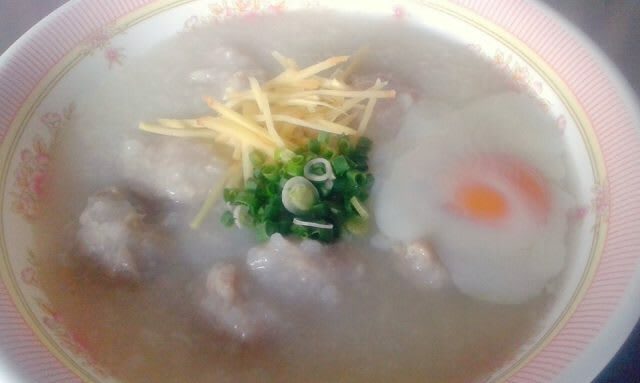 The classic is a bowl of porridge with minced pork balls and you can choose add ons like organs, century egg or a raw egg. How To Get There : Take the BTS to Bang Wa Station and hop onto a cab from there. This Cantonese style eatery Chakki serves up some of the best fried Wantons and Thai style Hor Fun! Rad Nha is a dish of stir fried noodles with meat covered in a thick brown gravy. You can choose between big flat rice noodles (hor fun) or crispy rice noodles or egg noodles. Each plate is priced from THB 120 to 160. Pair yours with a side of their crispy fried pork Wantons (THB 60) and don’t forget to dip yours into their sweet honey sauce. How To Get There : It is a 15 minute walk from Victory Monument BTS station. 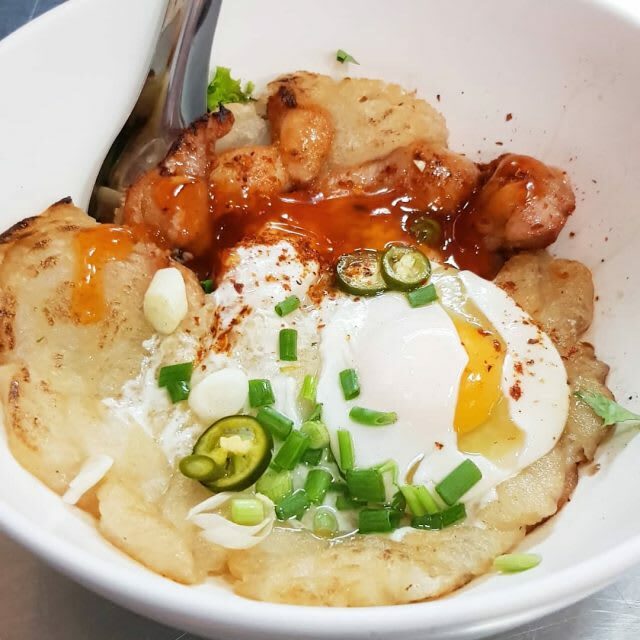 Ann Guay Tiew Kua Gai is located near Chinatown in Bangkok and it’s the only place you can get this unique dish! When you think of fried noodles in Thai cooking, your first thought will probably be Pad Thai. This fried noodle fish comes served with chicken and cuttlefish and most importantly, a running egg! Seasoned with soy sauce, eggs, pork fat and infused with plenty of wok hei the noodles are crispy on the outside and smooth and soft on the inside. Did we also mention that these fried noodles cost only THB50-60 a bowl! How To Get There : Take the BTS to Siam station and take a taxi from there. The latest trend in sustainable food is nose to tail and Arunwan has been doing it forever! This old school eatery is a hotspot for many locals. Serving up some of the best intestine dishes, if you want a taste of this you should definitely head there before noon! The bowl comes served with crispy pork belly, pork tripe, pig lung, pig intestines, kidneys and even livers. Customize your bowl however you like and depending on the combination you pick, each bowl will set you back only THB 50-70! How To Get There : Take the BTS to Ekkamai and hop onto a 5 minute cab ride. 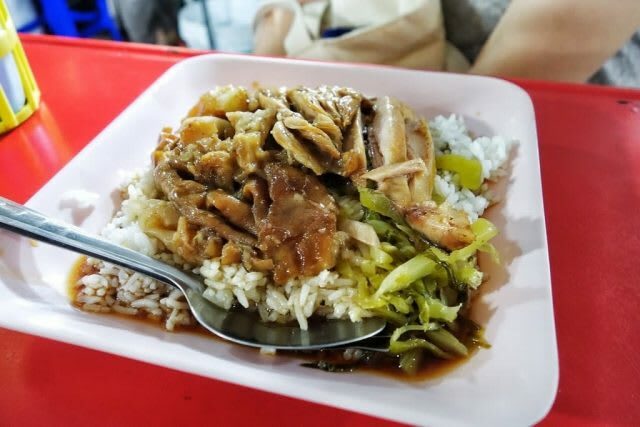 Braised pork leg or Khao Kha Moo is a street food dish you cannot miss on your visit to Thailand. 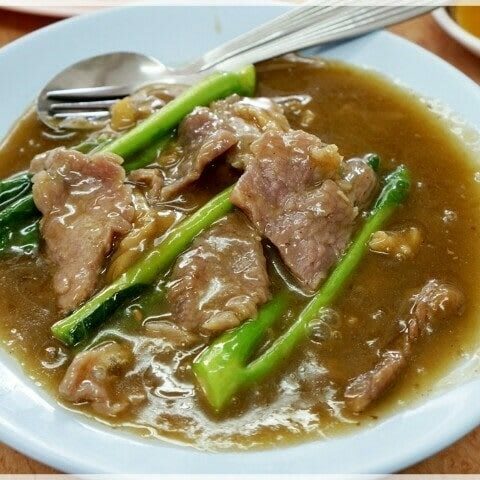 The pork dish at Charoen Saeng Silom is the place for one of the best versions in Bangkok! The deliciously savory fatty meat that melts in your mouth comes served with some salted vegetables and a plate of rice to soak up all that gravy. This hole in the wall eatery is one of the local’s best kept food secrets! Jay Fai is the only hawker in Bangkok awarded with a Michelin Star and this alone makes it worth a visit. As with all cheap and good food, you can expect a long wait for your food. The hawker specializes in crab omelette, and even with the price point of THB800, it has not deterred anyone from heading here. Filled with an insane amount of fresh crab meat, probably an entire crab worth, the omelette is savory and perfectly paired with the sweet crab meat. 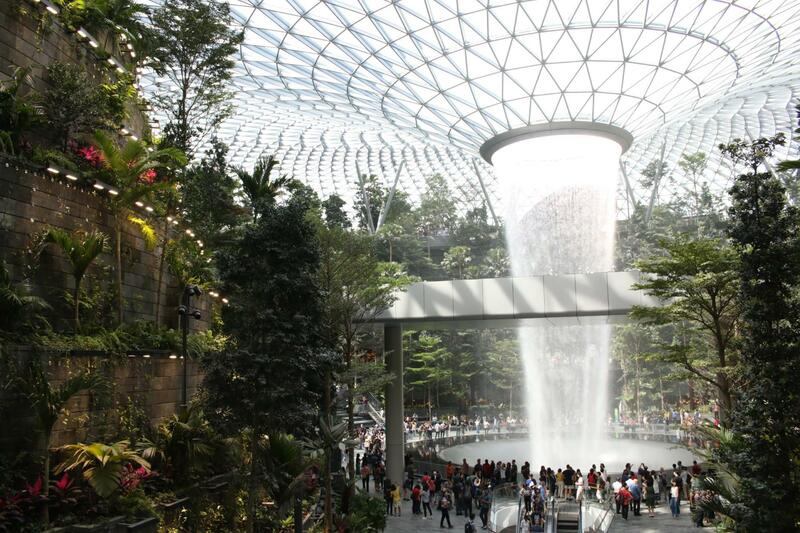 How To Get There : Take the BTS to National Stadium and hop onto a short cab ride. If you’re looking to treat yourself to some delicious food, here are some other delicious options that won’t exactly break the bank! These dining experience are definitely value for money. 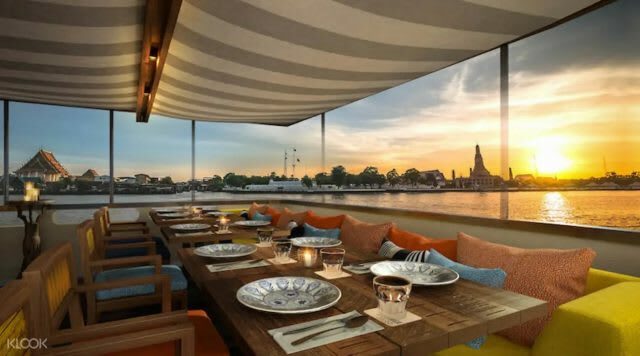 Hop aboard the Supanniga Cruise and see the best of the city while dining on some Michelin recommended food! Sail past sights like the Grand Palace and Wat Pho as you feast on local favourites like Tom Yum Gong and Mango Sticky Rice. Don’t forget to order a light evening cocktail from a menu curated by the famous Vesper Cocktail Bar that was voted one of Asia’s 50 best bars! Pre-book your sunset sail experience on Klook to enjoy a discount! Housed inside an old wooden house beaming with history, the interior includes cookbooks over 100 years old and antiques on the walls and in the corners! 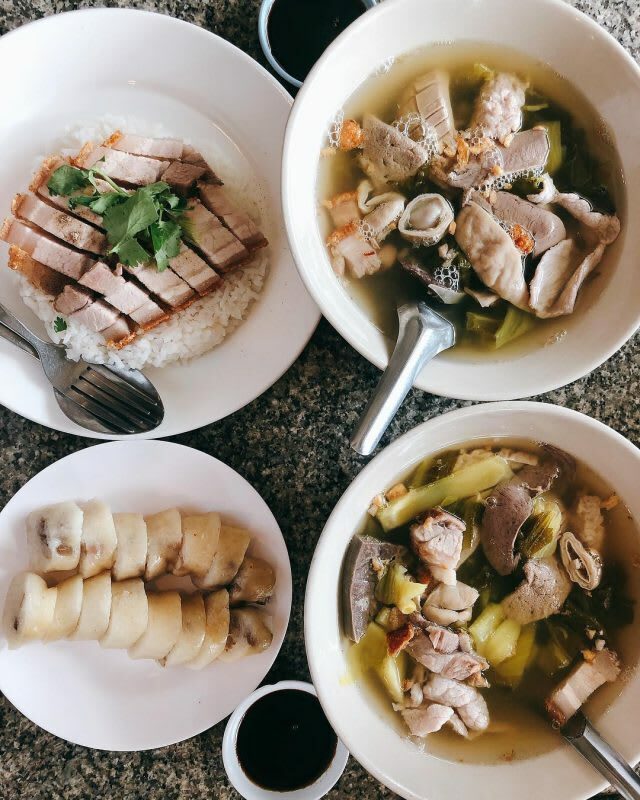 The Local by Oamthong Thai Cuisine also serves up some traditional Thai specialities some you might not even have heard of! 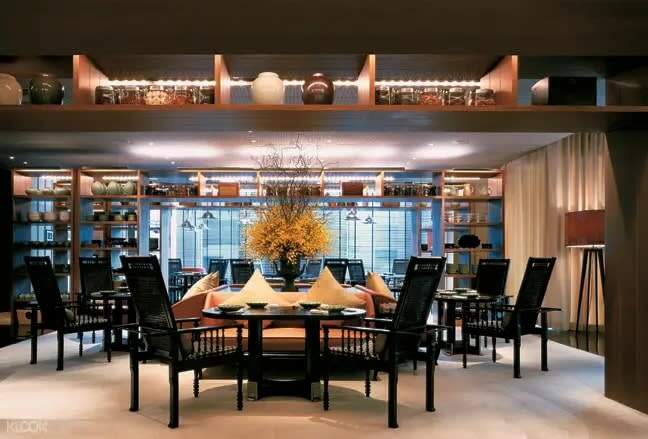 If you’re planning to visit this Michelin Bib Gourmand award winning restaurant, have a free plate of Yum Som O on us! Pre-book your free plate of Spicy Thai Style Pomelo Salad to kickstart your wonderful Thai feast. Settle into a traditional teak wood chair in the Erawan Tea Room and get ready to feast on some delicious traditional Thai food. The classic Som Tam Spicy Papaya Salad, Chicken Satay and Green Curry are just some of the dishes you have to try on your visit. Pre-book an all you can eat dinner on Klook and you’ll get to try all these different dishes and more! The all you can eat menu also includes unlimited desserts and drinks so be sure to load up on the mango sticky rice! How To Get There : Take the BTS Skytrain to Chit Lom Station (Station E1). Then, leave through Exit No. 8 and walk about 100m to Rajprasong Intersection. 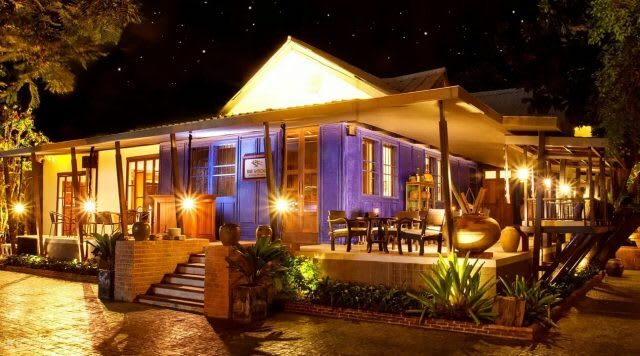 The Blue Elephant, housed inside colonial home will take you back in time to when the Siam kingdom was at its peak. These dishes were originally served in the Thai royal court and consists of only the freshest and highest quality ingredients! Tuck into dishes like Tamarind Foie Gras and Massaman Lamb Curry which you won’t find in many places. Pre-book a set menu from Klook and you’ll get to enjoy some of their best dishes and you’ll automatically get a reservation, saving you the hassle of making one over the phone. How To Get There : Leave from Exit 4 of Surasak BTS Station and walk for 1 min to reach Blue Elephant at Sathon. 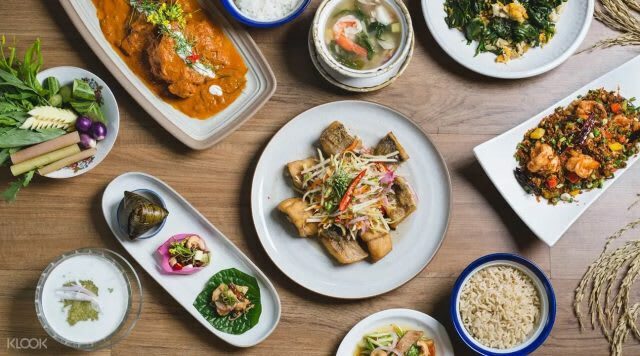 While not exactly Michelin recommended, here are some local eats in Bangkok that you can’t miss! Don’t forget to pick up some essentials from the airport upon landing! 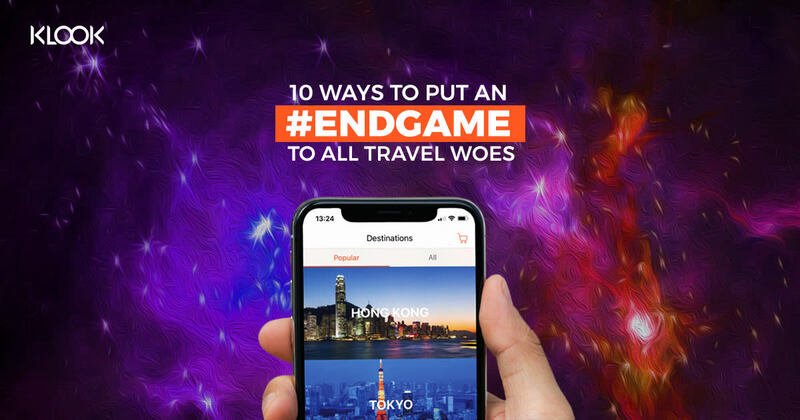 Enjoy $50 off your Bangkok adventures! 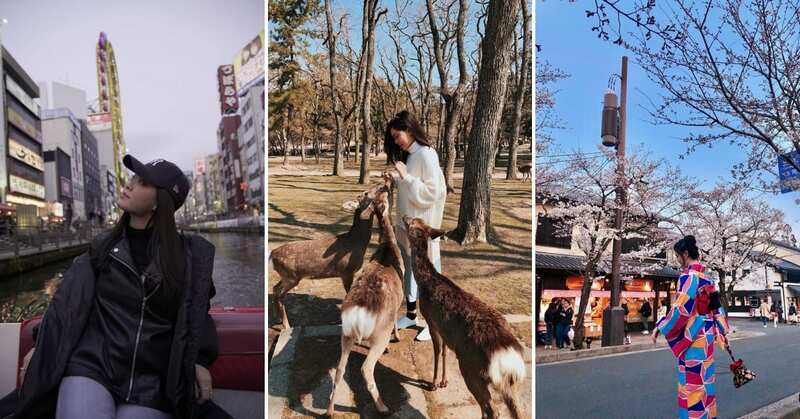 You don’t have to break the bank just to feast in Bangkok with the Klook Great Sakura Sale. 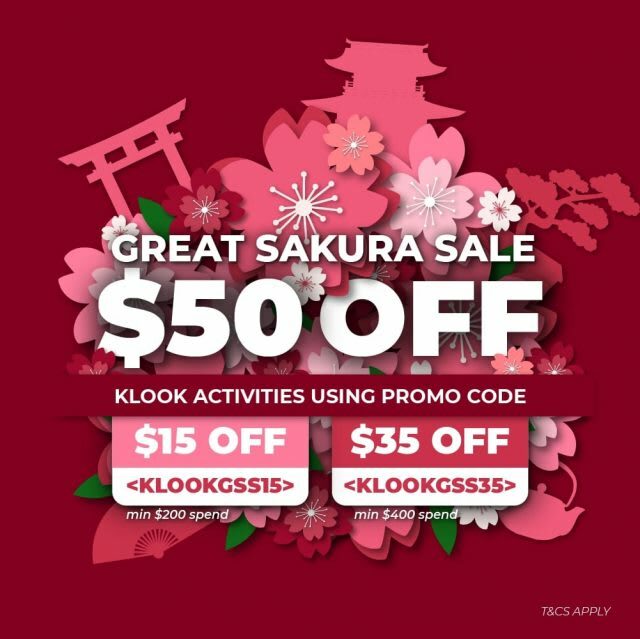 Enjoy $50 off your Bangkok adventure with the promo code “KLOOKGSS15” for $15 off min spend $200 and “KLOOKGSS35” for $35 off min spend $400.